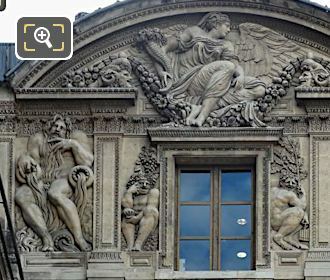 We were in the Cour Carree of the Musee du Louvre in the 1st Arrondissement of Paris, when we took these high definition photos showing a relief sculpture called Neptune, which was sculpted by Jean Goujon. 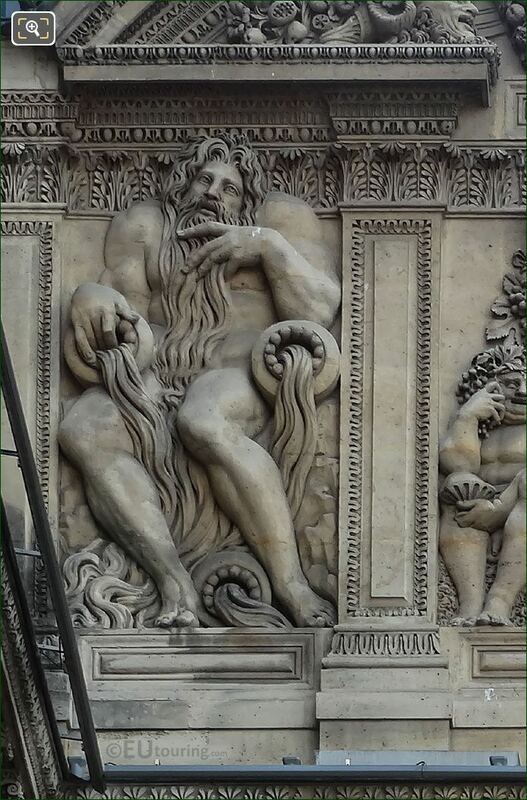 This first HD photo shows a relief sculpture designed to represent Neptune who was the God of Fresh Water and God of the Sea in Roman mythology, with his counterpart in Greek mythology being Poseidon, so hence why he is depicted here as having containers or water carriers with what is meant to be water flowing from them. And you will find that the Aile Lescot was constructed in the 1500s by the architect Pierre Lescot and hence the wing was named after him, and he worked alongside the French sculptor Jean Goujon who produced the ornate facade and the numerous decorative elements including the pediments and bas reliefs you can see in this photograph. Now Jean Goujon was commissioned as the official sculptor for the Palais du Louvre where he is documented as working on the Louvre between the years of 1549 to 1552 and from 1556 through to 1562, yet the break in working was when he was imprisoned, which was likely to be for religious reasons due to the fact he was a Protestant, and towards the end of 1562 he went into exile in Italy to escape the Wars of Religion, last being mentioned in Bologna only a year or so later. 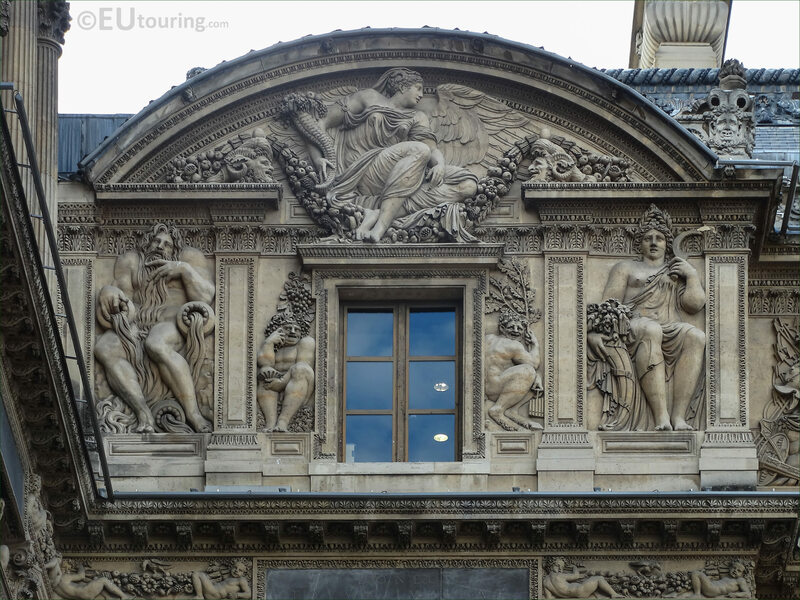 So when you are standing in the courtyard of The Louvre called the Cour Carree, you will see this part of the facade to the far left hand side of the wing, and the sculpture of Neptune is positioned to the left hand side of the window on the third level below the pediment.